However, to the extent that we could be thorough about our jovial pursuit, we did sample all the available options at hand over the course of the whole weekend. Equally, as you’ll know, even the tiniest of Irish villages has such numbers of pubs to make a pub-crawl feel more like a game of door-to-door hopscotch. First impressions of Kenny’s, or the ‘Kenny’ pub to be exact, were warm and welcoming. It was a wintry Friday evening and securing a couple of chairs adjacent to the window while also by a glowing, open fire felt like we’d hit the jackpot. It was our first port of call for a drink (other than the hotel), so we’d made a wise selection. A couple of quickly delivered pints framed our sense of tourist achievement. The terracotta floortiles and the red-washed walls gave the whole place a sense of warmth, which was amplified by the real heat coming off the burning turf briquettes behind us. The place was only gently busy but there was a lively atmosphere all the same. Youthful banter and idle chitter-chatter filled the air. You could skip your own conversation if you wanted and just tune in to the frequency of the place. You’d get an interesting story or two, no problem. All memorable pubs have their pecularities, and in Kenny’s it was the plethora of license plates and football scarves hung in every imaginable nook & cranny. Retro tunes beamed out casually from the pub’s soundsystem, helping to get tired feet tip-tappin’. The place itself was plain to the eye but geniune, no fuss and entirely engaging; not unlike Grogan’s or The Cobblestone or such like. A proper pub. The evening passed enjoyably, chatting between ourselves and people-watching over a few more pints. We were tired from the long drive over from the east coast, which was particularly sluggish through the snow of North Tipperary, and also from having a late dinner back at our hotel, so our aims at this stage were simple. A drink, a bit of warmth and a good vibe had more than hit the spot for the night that was in it. Kenny’s had proved a great choice; so much so that the following evening, having checked out most of the other local drinking establishments, we were back in Kenny’s again. It was much busier this time; in fact it was packed to the rafters as a local cover band was churning out a fine selection of funk and soul tunes. There was a particularly great version of Sir Joe Quarterman’s “I’ve Got So Much Trouble In My Mind”. It was a different, livelier vibe than on Friday night, but it was good to see Kenny’s in full flow, with its groove on. It turns out that Kenny’s is the music capital of Lahinch. The crowd was an eclectic, unpretentious mix; there were as many dreadlocks as there were stilettos. We certainly enjoyed it no less as we were among the last folk to leave the place! We even had a chance to chat with the friendly proprieter himself, Kenny Kenny. Yes, I did say Kenny Kenny (Mr. Kenneth Kenny). So good they named him twice! Next time that we are back in Lahinch, we hope to get the chance to drop in to Frawley’s as planned, but we’ll definitely be giving Kenny’s a visit too. 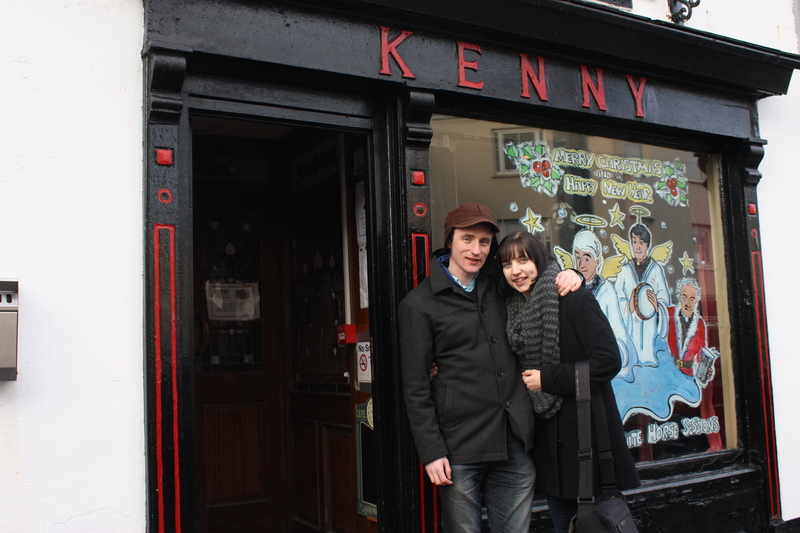 We gladly ended up in Kenny’s on both our nights in Lahinch. 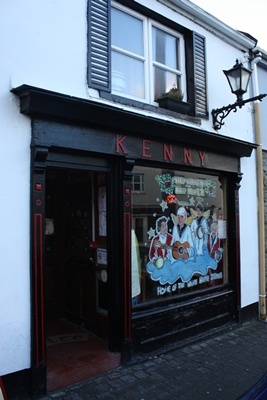 Visit because: Step in from the brisk Atlantic gusts to the warm & lively vibe of Kenny’s on Main Street, Lahinch. It’s a focal point for Lahinch’s local, surfer & tourist pub-goers, not least as it’s the top music venue of Lahinch and the surrounding area. 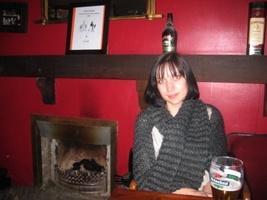 The pub’s White Horse Sessions and regular live music are as good as anything on the live music scene in Ireland today. Food served? (Yes/No): Yes; panini’s, wraps, burgers and daily fish specials / catch of the day. Wow. I really wish I’d seen this before I went to Dublin. Great work, guys.